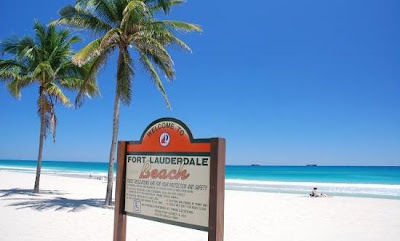 Fort Lauderdale beach, Florida is definitely a great place to relax. The downside is the $10 minimum to park your car on the weekends. The plus side are the tons of picnic tables and volley ball nets that are set up right around where we laid out our towels. Across the street was a nice resort and right next to us were the last condos in the area. There is hundreds Fort Lauderdale beach, Florida resorts, hotels, motels and inns where you can stay for your vacation. 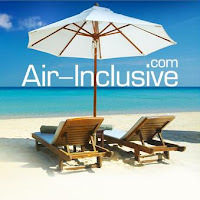 Even you can save money when you find a good Florida resorts deals and discounts. You will get plenty of sun at the beach no matter what. We bet it could get really much more louded and crowded on a busier day. We went on a chili November day that scared off most of the locals and tourists alike. But the best time to visit this beach is spring - summer time. Our result was a perfectly clean and empty beach in Florida since most of the folks where dodging the cold! View Larger Map of Fort Lauderdale Beach Florida.